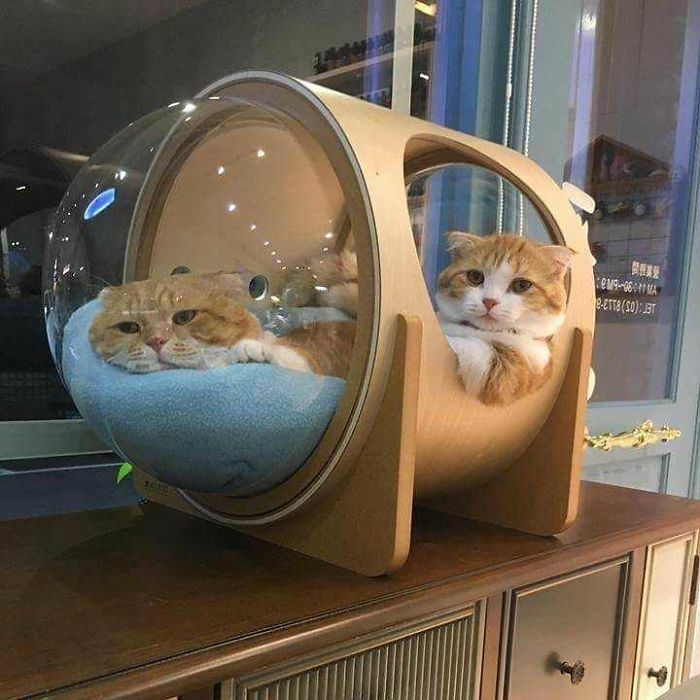 Make your kitty a little astronaut with one of these cat beds, I just saw them and thought they were so neat! More photos HERE. 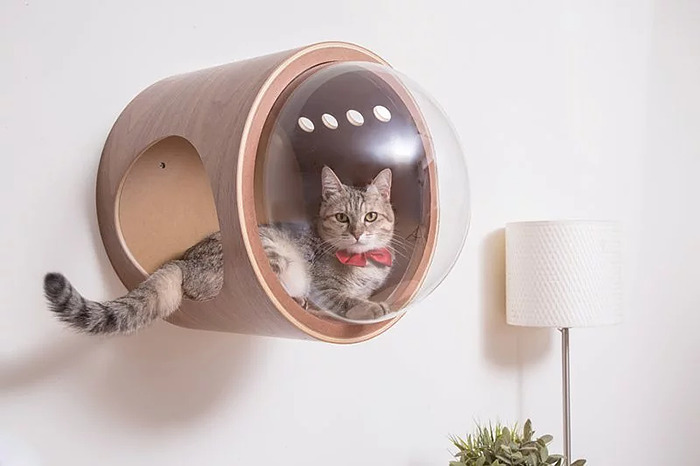 Inspired by classic spacecrafts, MyZoo has three models of bed, that not only make your cat look like a tiny astronaut but are carefully designed for comfort and convenience. 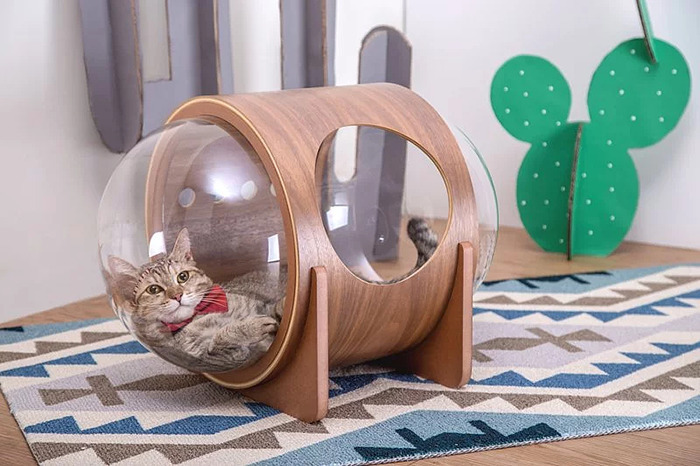 The Alpha model is designed for the floor, while the Beta and the Gamma will allow your pet to rest ‘up in space.’ Each bed is made from wood with a bubble-window that allows both pet and owner to see one another. Prices for the Myzoo Spaceship Series starts at $97. Whiskers, open the pod bay doors. Awwww! Very cute picture's! If I had a cat, I would probably get one. They look so cute! and beds looks interesting Wonder if these beds are comfortable?